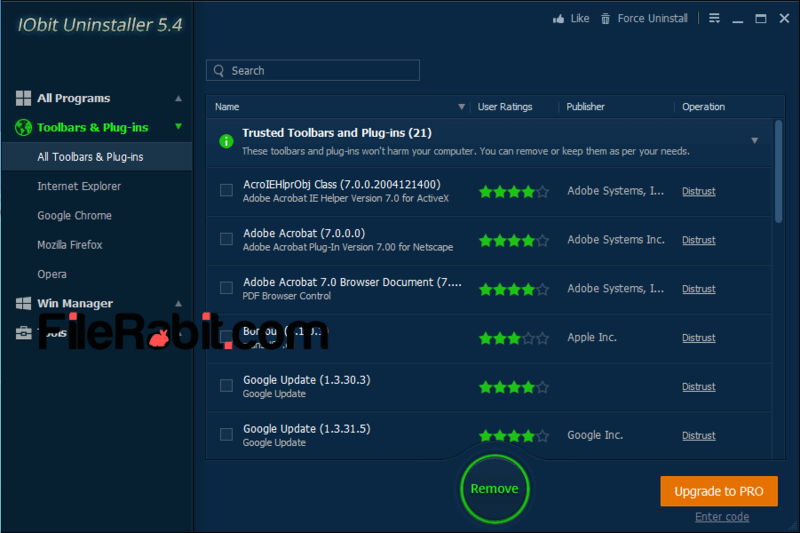 IObit Uninstaller is fast tool to uninstall multiple programs, toolbars or plug-ins, manage start up running programs and control real-time running processes. It has awesome power to identify any recent or older programs that were installed in any date. It categorized different programs in different categories e.g. Recently installed, all programs, large programs and infrequently used as well. Create a restore point that would help to restore in case of crashing Windows or software. 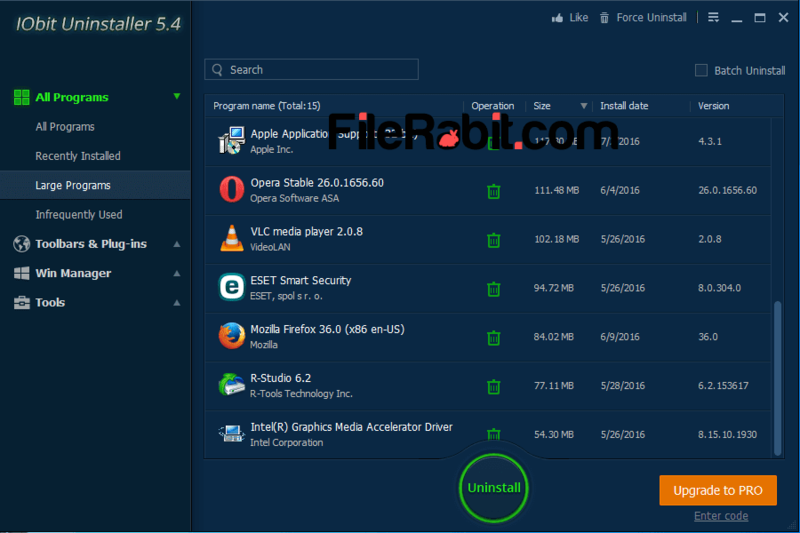 Basically, this uninstaller gives a rapid way to remove unwanted and unnecessary programs in seconds. Simply, you have to locate the target under toolbars and plug-ins menu and just select uninstall. CCleaner, Your, Revo, Advanced and few more uninstaller programs are famous competitors but most of them are shareware. AVG PC Tuneup, Win and Tuneup Utilities are most expensive products that also offering similar features. It includes list of installed programs and applications with showing size, date and company name. 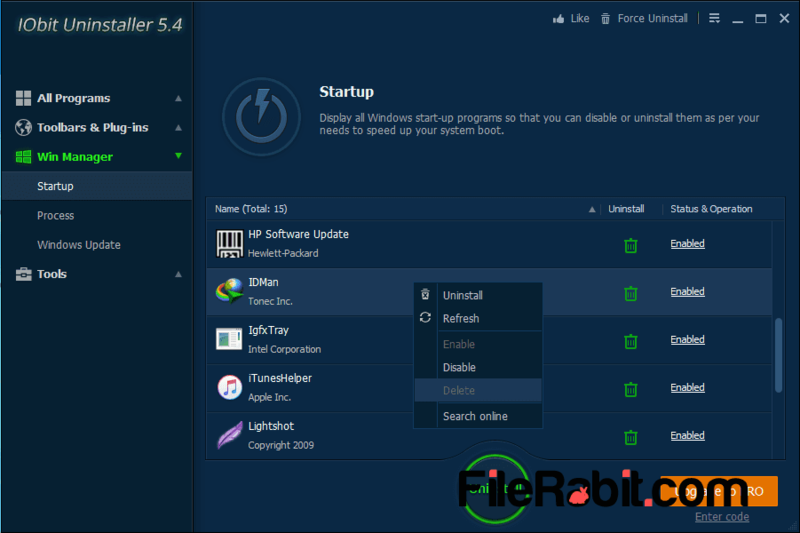 IObit Uninstaller give ultimate control over installed programs, startup running programs and toolbars as well. Unless Windows Task Manager (in Win XP) or Programs and Features (in Win 7 or earlier) are not allowed to uninstall multiple programs at once. These windows default program uninstallers will do not remove software completely and sometimes their foots create huge trouble for users.